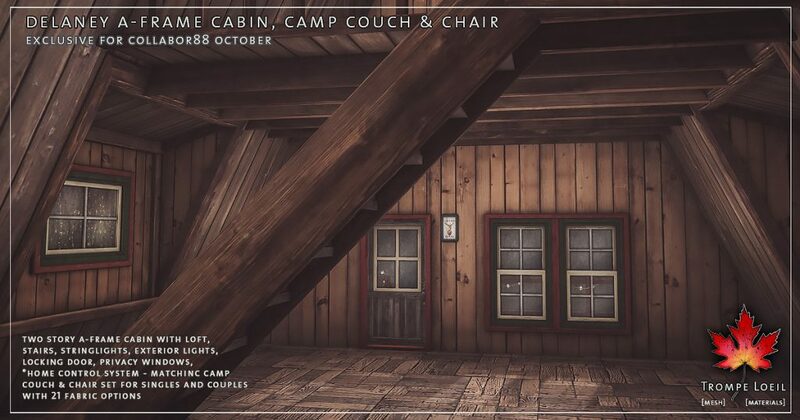 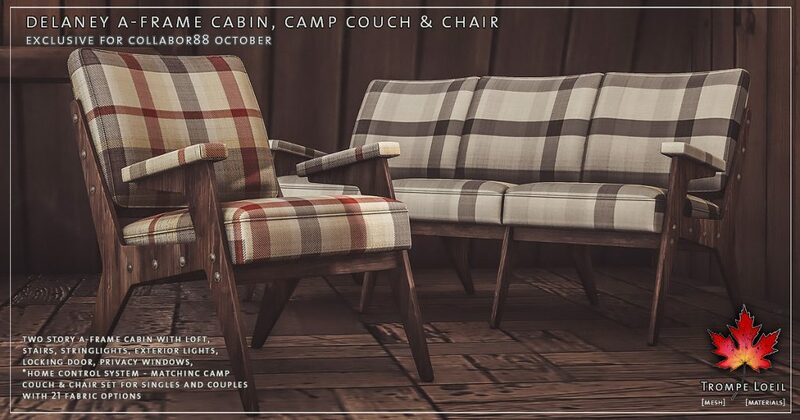 Nothing says autumn afternoons like a classic A-frame – tuck away into the woods with our new Delaney A-Frame Cabin and matching Delaney Camp Couch & Chair set, only at Collabor88 October! 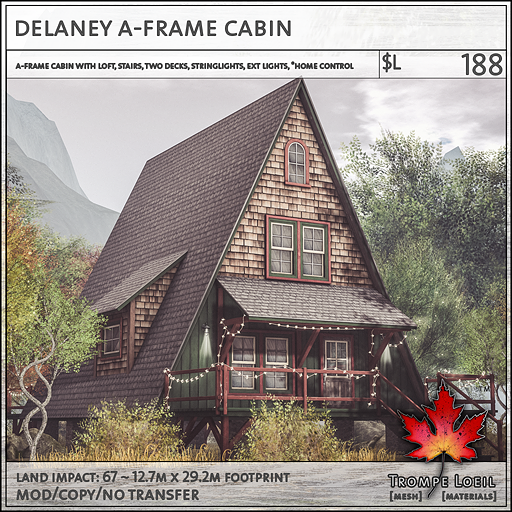 The Delaney A-Frame Cabin is a two story build with open loft and staircase, two decks, stringlights around the awnings and railings, privacy windows, exterior lights, locking doors, and our *home control system. 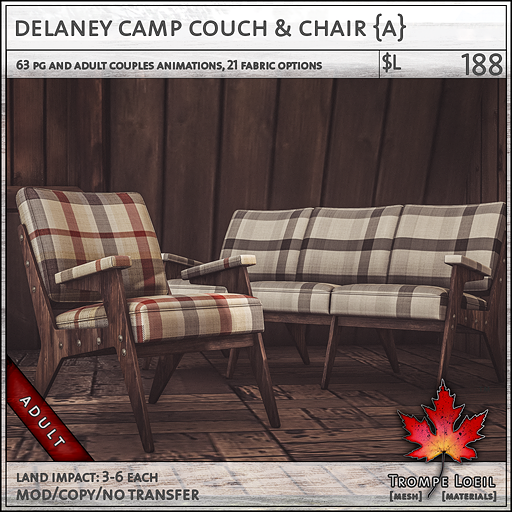 The matching Delaney Camp Couch & Chair set are rugged and rustic camp furniture pieces with classic plaids and funky retro patterns, scripted in your choice of maturities for singles and couples. 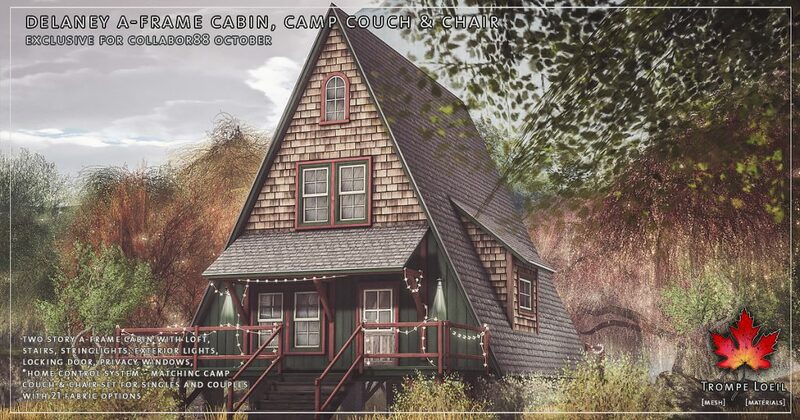 Get them both at great C88 prices through the month of October! 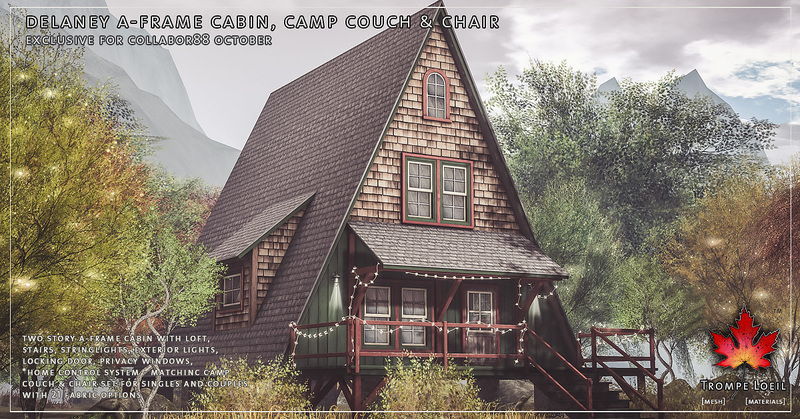 50% Off Mainstore Sale Oct 14-15 – Rezzie Awards Thank You!